As November quickly approaches, a lazy darkness settles over College Park and another kind of darkness is creeping onto the faces of men across campus: facial hair. Nov. 1 marks the start of Movember (a word blend of “mustache” and “November”) or No Shave November, an annual month-long event in which men refrain from shaving and allow their beards and 'staches to grow wild and free. University students are just some among millions of men in the nation partaking in Movember. “[Movember] gives me a reason to be lazy,” remarked freshman history major Alexander Selengut, another student participating in the 30-day event. In an effort to garner public awareness regarding prostate cancer in men, the charity kick-started a fundraiser in which men would donate $10 to grow a mustache for 30 days. Movember has since found its way to a myriad of other countries. By 2012, 21 nations, including the United States, were engaging in the “no shave” event. The Movember Foundation has raised $174 million worldwide as of 2012. By registering on Movember.com, participants, called “Mo Bros,” agree to join the movement by growing a mustache for the month of November. Mo Bros raise money by asking friends and family to donate to their efforts. 83.1% of the funds raised in the United States go toward programs and initiatives aimed at fighting prostate and testicular cancers. 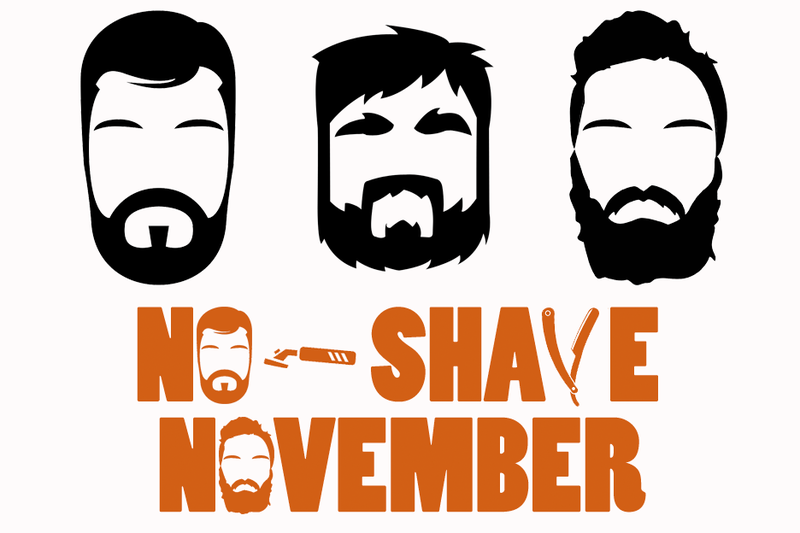 The remaining funds finance the Movember team’s fundraising and administrative tasks. According to the American Cancer Society, about 238,590 new cases of prostate cancer have been recorded in the United States in 2013. Prostate cancer remains the most common type of cancer in American men and the second-leading cause of cancer death in men. “No Shave November is a powerful event because a bunch of men growing facial hair at the same time really draws attention to the fight against prostate cancer,” said sophomore finance and accounting major Tyler Boyles. “[The event] serves as a mass statement. Yet, as students’ faces sprout various forms of facial hair, they remain largely unaware of the true significance their 'staches carry.